Looking for a Notre Dame live stream? Don't miss the action! Check now to see how you can legally watch Notre Dame games online! All the channels you need with thousands of on-demand options. Consistent prices, all the channels you need, and a two-year contract. The Citrus Bowl winners are back this year to retake the crown of conference champions. Watch the Notre Dame football team go up against some of college football’s fiercest competition and come out on top this 2018 season. Let’s get started and take a stroll through all the different options that’ll have you watching Notre Dame football in no time. Notre Dame games can be found on NBC for the majority of the season. There are a few weeks that are yet to list a hosting channel, so you should make sure to keep an eye on the team’s schedule. Before plunging yourself headfirst into the world of streaming and satellite TV services, we’ve taken the time to outline some recommendations that may come in handy. Hulu Live is the most affordable option on this list. It costs $39.99 a month with no contracts or hidden fees (in its base package). There are some limited commercials in its on-demand content, but nothing you wouldn’t see on live TV. Getting back to the point of not sharing, Hulu Live lets you stream on two different devices at the same time. So you won’t have to fight other people for control of the living room come game time. The option for unlimited simultaneous streaming does exist, but we’ll get to why that may not be the best option. 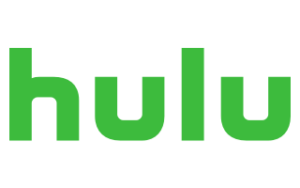 Hulu Live local channel affiliates have close to 600 channels nationwide, so you’ll more than likely be able to watch every Notre Dame game without a hitch. We do recommend checking out its website and clicking on the View Channels option before signing up. That way, you can make sure the channels you need are available in your area. Another of the many perks Hulu Live has is its ability to customize your account. Don’t be too ambitious, though, because it can all come crashing down. Add-ons can cost up to $15 each, so you’ll be paying satellite TV prices if you’re not careful. DISH’s America’s Top 120 Plus package is what you’ll need to get every game of the mighty Fighting Irish. You may be asking “why should I get the most expensive option?” and don’t worry—we’ll explain how this is part of the long game. The good news is that DISH’s price of $69.99 a month stays consistent for two years, so no need to get that special magnifying glass to find hidden fees. In return for your efforts, you’ll get the largest package on this list with over 190 channels just for you and yours. All that glitters . . . can be kind of expensive. We totally get that at first, DISH seems to ask for a lot when all you want to do is watch some good old-fashioned Notre Dame football. But like any good strategy, the benefits may not be revealed until late in the game. When compared to other services, DISH is actually a more affordable option, thanks to its consistent prices.  If all you want is endless amounts of football in 2018, then DIRECTV is a great option. DIRECTV lets you see where your favorite college players end up once they’ve signed on to the majors, thanks to NFL SUNDAY TICKET. If you’re the type of person who chants “Rudy, Rudy, Rudy” in your sleep, then DIRECTV’s CHOICE™ package will be how you want to play your cards. During your first year with DIRECTV, you’ll be dishing out $45 a month. But if you examine it piece by piece, you’ll see you get the local NBC channel, so you’ll be watching Notre Dame football every week. And for your first year, you’ll also get a season of NFL SUNDAY TICKET included. So really, football season isn’t over until you say it’s over. Like the ominous heading above says, you have to know what you’re getting into. Like DISH, you have to sign a two-year contract. But you won’t always be paying $45 a month. Instead, once your second year kicks in, that price goes up to $105 a month. Don’t worry: averaged out in the long run, this amount is consistent with other satellite TV services. But we don’t like the bitter taste that the second-year price hike leaves, either. Notre Dame is ready for a fight—are you ready? The Notre Dame offense has been preparing all off-season for a chance at the title—so make sure to not miss a single run, pass, or kick in 2018. We’ve told you how we watch Notre Dame football, so tell us how you watch in the comments below.